In his recent comments on the Fox News Channel’s FOX & Friends morning show, Geraldo Rivera claimed that the shooting of Florida teenager Trayvon Martin was equally the result of (i) an “overzealous and irrational” neighborhood watchman (George Zimmerman) as well as (ii) Trayvon Martin’s ethnicity, gender, and attire. By appearing in public as a dark-skinned and hoodie-cloaked male, Rivera suggests, Trayvon unwittingly (and unwisely) presented the neighborhood watchman, George Zimmerman, with a highly ambiguous object. On one hand, Trayvon was merely a boy (age 17, though in fact he appeared considerably younger) eating Skittles while walking home; on the other hand, he was a black male donning garb associated “with robberies, muggings, and confrontations,” which sensible others (read middle-class whites) seek to avoid. There is of course a great deal to be said about this utterly horrific event, and this post in no way seeks to trivialize its moral, legal, and cultural significance; quite the opposite, in fact. For the Trayvon Martin case brings to light one of the ways in which American culture has come to imagine (and in this case, violently respond to) some perceived embodied identities. In thinking about this case, my attention is drawn back to our recent spate of posts regarding the symbolic function of zombies in contemporary American culture, and to the popular TV series, The Walking Dead (TWD), especially. Over the course of two seasons, the show’s characters, as well as audiences, have gradually transitioned from intense revulsion at seeing zombies (who appear to be people but no longer are) summarily executed (often shot in the head at point blank range), to a sense of empowerment and celebration as “walkers” are “put down” by heroes and heroines who narrowly escape being torn apart and consumed. More, the show’s characters have increasingly come to deal with perceived ambiguities as to who is a zombie and who is still a human being by means of lethal force, evident in Andrea’s overly hasty shooting of an injured Darrell limping back to the farm (whom she mistakes for a zombie), and who is a threat as opposed to a viable community member, evident in the group’s willingness to summarily execute other human beings deemed to be dangerous. My point here, obviously, is not to compare Trayvon Martin to zombies or George Zimmerman to television heroes. But rather to suggest that the progression of character (and audience?) sensibilities evident in TWD powerfully mirrors American attitudes as to how identities are decoded, categorized, and reacted to. What Rivera implicitly frames and defends as understandable–the “instant, reflexive” perception of a dark-skinned, hoodie-wearing, male, walking through an affluent, gated, residential neighborhood as a “menace” that “allows” the “irrational and overzealous” neighborhood watchman to shoot him–is disturbingly close to the brink TWD characters approach, one in which the world is comprised of true human beings (those like us) and “zombies” (those not like us). Was Trayvon Zimmerman’s imaginary zombie, that which only appears to be a full human being, but is in fact a subhuman being intent upon violence and brutality against others, that ultimately ought to be “put down,” shot at point-blank range? Does the hoodie transform the smiling dark-skinned teenager into a “walker” in Rivera’s conceptual world? Again, such comparisons are disturbingly close to the mark and, given the misanthropy, racism, bigotry, and misogyny obvious in many popular appropriations of the “killing zombies” motif, they are chilling indeed. This entry was posted in Kenny Paul Smith, Politics and Religion, Religion and Popular Culture, Religion and Society, Religion in the News and tagged Fox News, George Zimmerman zombies, Geraldo Rivera, hoodie, Treyvon Martin, Walking Dead. Bookmark the permalink. 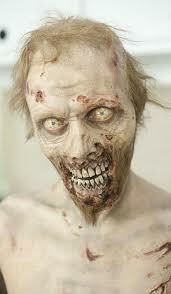 I find your comparison of this incident and TWD to be very intriguing. I hadn’t thought of it from this perspective. The masses would like us to believe that race was not a factor but it does play a huge part. Non-African-Americans, in my experience, do see African-Americans who choose to dress in “urban” gear as a menace to society, thus subhuman. They pose a threat to their gated communities, nice homes, and schools. Everyone who wears “urban” gear is placed under the same umbrella, again seeing a person that is not of a certain class as subhuman and ultimately a threat. Anyone walking in the rain, would place the hood of their jacket on their head. Normal teenagers of any ethnicity eat candy and drink juice. 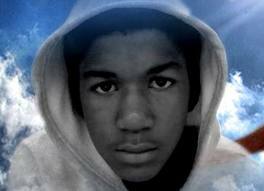 If Zimmerman were truly a watchman of his community, he would have observed the young man and not acted as a vigilante. Thanks for your kind and thoughtful comment! You’ve summarized my argument more elegantly than I.